one of eight installation views. 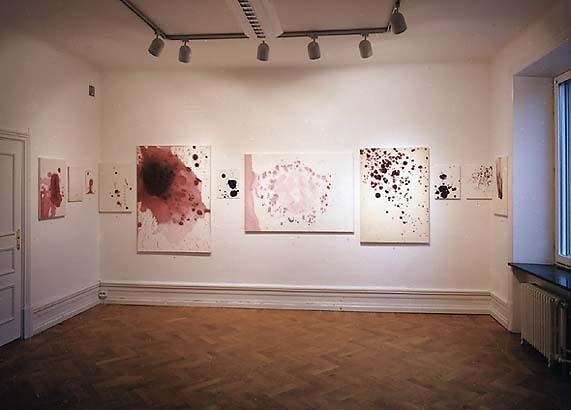 From left to right: TEST paintings no. 3, 8, 27, 36, 40, 62, 72, 93, 97, 103 and 104 in the first room of the exhibition.